In her new zine and film, titled Boys of Hong Kong, Leese not only depicts this new wave of less rigid gender identity among Hong Kong’s male youth culture, but also illustrates the diversities that exist amongst them by dismantling some of the misconceptions she’s encountered. “In western society, Asian men tend to be regarded as ‘less attractive’,” she says. “There is also a tendency to stereotype Chinese boys as 'all looking the same.’ I aim to show diversity within Asian masculinity and celebrate their beauty.” With Boys of Hong Kong, Leese not only reaffirms that these notions are fundamentally untrue but also illustrates just how diverse and unique these young men are. Alongside the premiere of a film directed by Luke Casey that coincides with Leese’s just-released zine, we catch up with the photographer to talk about making Boys of Hong Kong and hanging out with the cool kids of her hometown. Although you’ve spent most of your life in London, you still feel that Hong Kong is your home. Did you feel any sense of being an outsider when you returned to do this project? Alexandra Leese: I was definitely aware while shooting this project that I no longer felt like a local, and that my time away had given me a new perspective on Hong Kong. Despite feeling like I was an outsider coming in, there was also still a sense that this was my home. There was familiarity in the culture and an understanding of how the city works. There were advantages and disadvantages to this, but overall, I discovered a new respect and love for a place I once took for granted. So I wanted to celebrate what makes Hong Kong unique and to concentrate on the positive. Coming back to Hong Kong probably pushed me to ask questions that I wouldn’t have, had I always lived there. Can you tell us about the preconceptions about Asian masculinity? Alexandra Leese: Very often, in the west, Asian men are not seen as ‘‘attractive”. They are seen as effeminate, homogenous, or “all looking the same”. It’s way past time to counter these prejudices, and I wanted to do so in a positive way by creating and showing a set of portraits that celebrates a diversity of masculine beauty and character. 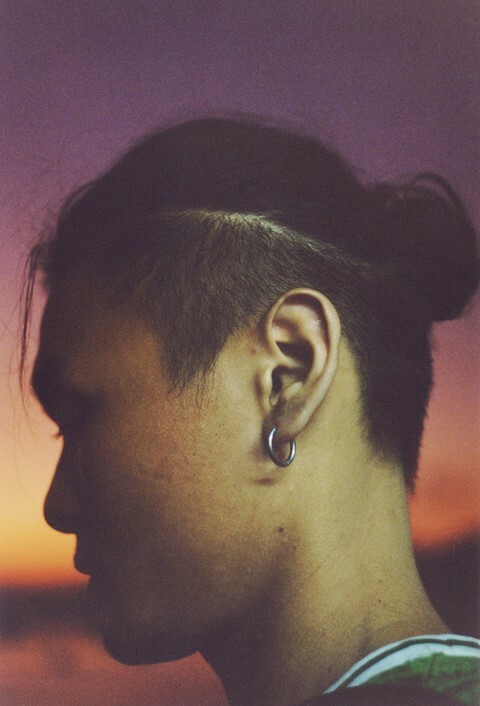 What do you think that your images reveal about emerging youth culture in Hong Kong? 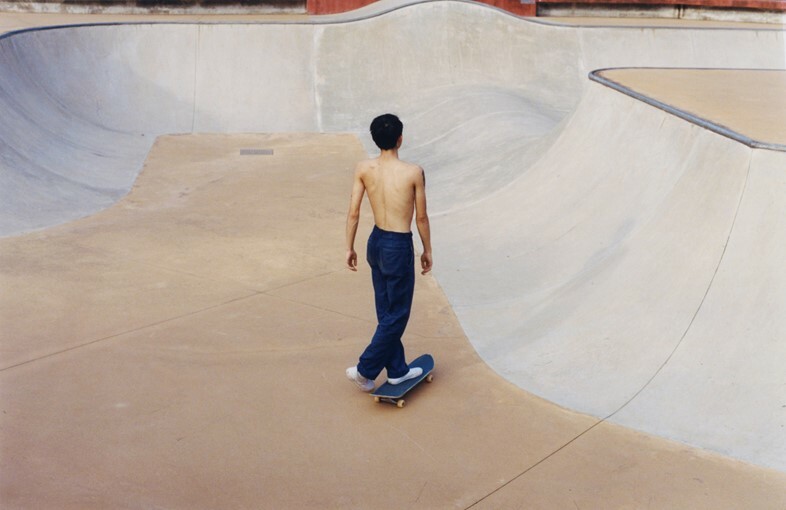 Alexandra Leese: The series focuses on a diversity of men within Hong Kong’s youth culture, from schoolboys to artists, and illustrators, skaters, bikers, and tattoo artists. They represent a range of sexualities and backgrounds. I can’t speak for Hong Kong men as a whole, but I observed throughout my project that this generation of young men is particularly self-aware. They are aware of the common stereotypes that Hong Kong or Asian men face, and many of them are consciously or unconsciously moving away from those ideas with a strong desire to find a unique identity and to not be defined by other people’s expectations. With a British colonial past and a communist Chinese future, ‘Hong Kong-ers’ do feel like they have their own cultural identity. They tend to have grown up aware of both eastern and western ideals, and I think this must affect their-slash-our collective mindset. Even though Hong Kong is a busy international city, the options available – especially to young, creative people – are very limited. I feel like this has created a desire among its youth to look beyond the bubble, to be adventurous, curious and open-minded. Tell us about the process of getting into the intimate world of these boys? Alexandra Leese: Getting inside their world was very organic – we would really just hang out. For the portraits, we would arrange to go to their homes or meet somewhere familiar to them. It was important for me to shoot them in an authentic and comfortable place, in order to make sure they were most themselves. There’s a lot of interest and discussion at the moment about challenging and dismantling the male gaze. As a woman taking pictures of boys, what do you think your images bring to that discussion? Alexandra Leese: The problem with the male gaze is that it typically uses a hetero-normative idea of femininity to create or prop up a superior masculinity. So, by challenging that notion of masculinity, I also hope to contribute to dismantling the male gaze. I aimed to be curious, truthful, and inclusive. It was revealed to me again and again just how universal the human condition is, and that more should be done to bring us together as people than to divide us as men and women. Can you tell us about some of the ideas that characterise these boys’ relationships with masculinity? And how do they differ from their more conservative parents? What factors do you think have brought about this cultural shift? Alexandra Leese: I don’t think you can overestimate the power of the internet in conservative societies like Hong Kong. It gives young people an outlet where they would not have previously had one: an outlet to express themselves, to find like minds, and to experience what is happening in other parts of the world. And when their freedom of expression is being threatened in real life, they still have somewhere to go online. This project focuses on masculinity – but did you notice any changes in the way that young Asian women relate to female identity? 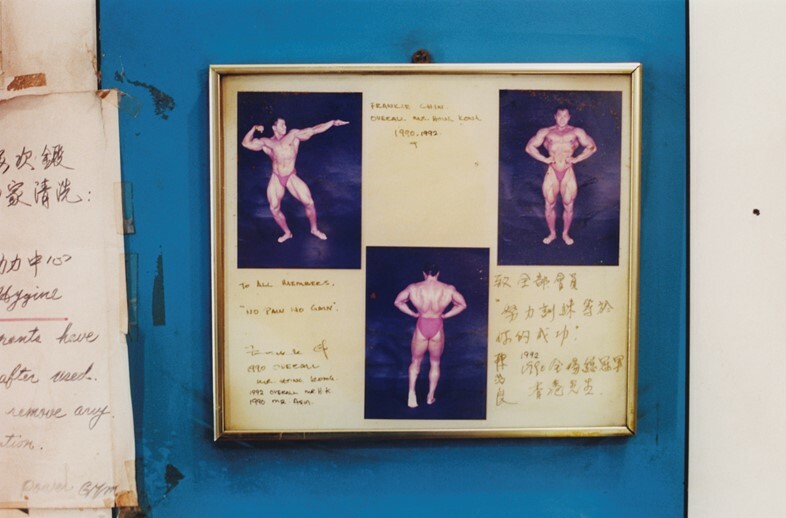 Alexandra Leese: I went into this project wanting to learn more about masculinity in Hong Kong. I didn’t know much at first about how young men here related to the concept, but I did learn a huge amount. I didn’t focus on young women, as you say, so I can only draw from my personal perspective and experiences, and I do believe change is happening. Having said that, I would love to see a more open dialogue about what it means to be a woman today in Hong Kong. There is a tendency to go along with the norm and to not question that identity as fiercely as we might in less traditional societies. But I believe it is very much a matter of time before the momentum of that conversation reaches us, and I am excited to see (and be!) that change.